Climate change is causing important shifts in the suitability of regions for wine production. Fine scale mapping of these shifts helps us to understand the evolution of vineyard climates, and to find solutions through viticultural adaptation. The aim of this study is to identify and map the structural and spatial shifts that occurred in the climatic suitability for wine production of the Cotnari wine growing region (Romania) between 1961 and 2013. 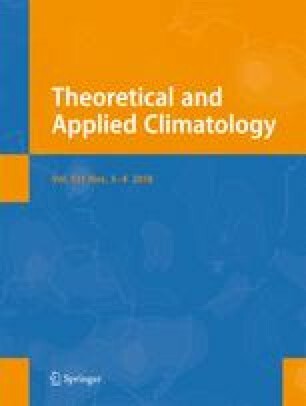 Discontinuities in trends of temperature were identified, and the averages and trends of 13 climatic parameters for the 1961 to 1980 and 1981 to 2013 time periods were analysed. Using the averages of these climatic parameters, climate suitability for wine production was calculated at a resolution of 30 m and mapped for each time period, and the changes analysed. The results indicate shifts in the area’s historic climatic profile, due to an increase of heliothermal resources and precipitation constancy. The area’s climate suitability for wine production was modified by the loss of climate suitability for white table wines, sparkling wines and wine for distillates; shifts in suitability to higher altitudes by about 67 m, and a 48.6% decrease in the area suitable for quality white wines; and the occurrence of suitable climates for red wines at lower altitudes. The study showed that climate suitability for wine production has a multi-level spatial structure, with classes requiring a cooler climate being located at a higher altitude than those requiring a warmer climate. Climate change has therefore resulted in the shift of climate suitability classes for wine production to higher altitudes. The online version of this article (doi: 10.1007/s00704-017-2033-9) contains supplementary material, which is available to authorized users. This research was carried out with financial and logistic support from LIFE-ADVICLIM project (LIFE13 ENV/FR/001512): Adaptation of viticulture to climate change: high resolution observations of adaptation scenario for viticulture.